February 9th marks the 10th anniversary of AVLF’s Safe Families Office (SFO) – Georgia’s very first lawyer-staffed, Courthouse-based resource for survivors of intimate partner abuse. The SFO is a unique collaboration between AVLF, Partnership Against Domestic Violence (PADV), and the Fulton County Superior and State Courts. The office serves survivors of domestic violence seeking civil temporary protective orders against their abusers. PADV’s SFO Legal Advocates and Crisis Mental Health Advocate provide survivors with domestic violence advocacy, safety planning, counseling, and access to shelter. AVLF’s SFO attorneys, law students, and social workers provide legal advice and representation in both protective order and family law cases, as well as follow-up social work support during the TPO process. The Fulton County Superior and State Courts generously provide the agencies with a courthouse-based office and general support for its mission. The partners work together to provide a holistic approach to addressing survivors’ needs as they seek safety and independence from their abusers. The Safe Families Office is co-located in the same network of buildings as the District Attorney’s and Solicitor General’s offices, the Fulton County Sheriff’s Office, and the Magistrate, State, and Superior Court Clerks’ offices, giving survivors access to an array of additional legal options and services in one visit. In 2009, when the SFO first opened, and again in 2018, this extraordinary partnership was named a “best practices model” for its service to survivors of domestic violence by Vivian Huelgo, General Counsel for the American Bar Association’s Commission on Domestic & Sexual Violence. As we look forward to the next 10 years, the Safe Families Office hopes to continue educating and empowering survivors to know their legal options. We hope that one day our services will no longer be necessary, but until then, we will remain a resource for survivors looking to rebuild healthy, positive lives. Do you know someone who may be experiencing intimate partner violence? Check out our blog post on 5 Signs of Intimate Partner Abuse and Where Survivors Can Get Help. 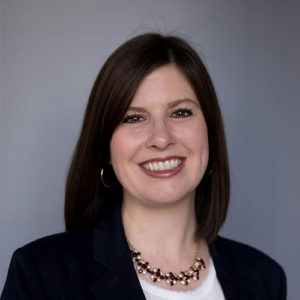 Jamie is the director of the Safe and Stable Families Project, which includes the Domestic Violence, Family Law, and Guardian ad Litem programs. Jamie currently serves as a member of the Fulton County Family Violence Task Force. Prior to joining AVLF, Jamie practiced family law at Holland Roddenbery LLC. She is the former co-chair of the State Bar of Georgia’s Young Lawyer Division’s Family Law Committee. She obtained her JD from the University of Georgia School of Law, where she served on the Georgia Law Review. She received her BS in journalism from Ohio University. She went on to work in sports marketing for four years before attending law school. Jamie is an active member of the Atlanta Bar Association and State Bar of Georgia and has been recognized for her contributions to the legal profession and survivors of domestic violence.